As most of you probably know, I recently had surgery to remove the plate and screws that were put in my ankle after I broke it in the opener. It’s not something we were expecting to be a part of this recovery process, but I’m happy to report that I’ll be back out there resuming rehab soon, with my sights set firmly on being back to my usual self for the start of next season. The whole complication with the hardware in my ankle actually happened really, really fast. I had been progressing really well. I had been doing cuts laterally. I was jumping. I hadn’t done anything that explosive and I wasn’t quite 100 percent with any of it, but I was slowly building up to that. Problem was, I was also still having some pain on the outside of my ankle, kind of where the peroneal tendon is. 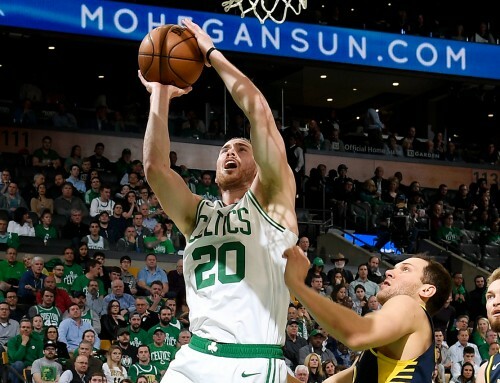 I had been reporting back daily how I was feeling, and the team that I was working with in Indianapolis—along with the Celtics training staff—had surmised that it could be the hardware they put in during my initial surgery causing some irritation. But it was hard for them to say with any certainty, because no one really knows what’s going on, how my body is reacting to the hardware, except for me. And all I knew was that I was experiencing pain, and something didn’t feel right. So I called up Dr. Porter, who collaborated on my surgery and who’s advised us throughout this process, just to ask what he thought. I explained to him what was going on, and he said it could be a couple different things, so we should do a test to figure out what it is. He told me that it could just be that my muscles were sore, and it was a strength issue, and I just needed to continue to rehab and have it get stronger, and eventually, it would go away. Or it could be something different. But everyone was on board with wanting to get an answer for me as soon as possible. So I flew back to Indianapolis and did what is called a Cybex test. Essentially, they used it to test the strength in both my ankles. The first round that I did the test, my left ankle was significantly weaker than my right. It was approximately 70 percent of the strength of the right ankle. On a test like that, 30 percent is a pretty significant number, so that raised some red flags. Then Dr. Porter injected my left ankle with some local anesthetic to numb the area, and I did the same test again. That time, not only was my left 100 percent of the strength of my right, it was actually slightly stronger. That let Dr. Porter know that it was not a strength issue, but a pain issue, and the pain was basically blocking my progression. So we got on a conference call with Dr. Porter, and the doctors and staff in Boston, and collectively decided that we should take the hardware out of my ankle. The next night I was in surgery. Dr. Porter went in and took out everything that they had put in my ankle. There were two incisions made to take all the stuff out. They took the plate, the screws and the tightrope that was in there. So now, I basically have a normal ankle—just there are some holes in the bone where they had to put the screws in, and those are going to heal up. The second surgery was a surprise, but I look at it as a positive because now there’s nothing holding me back (Sports Illustrated photo). Honestly, I look it as a good thing more than anything, because when you introduce foreign objects into your body, anything can happen at any time. Sometimes your body rejects it or things happen; you get infections, and it could happen a year or years down the road. So it’s nice to know that I’m done with the plate and screws now, and that is not something I am going to have to worry about in the future. They said the surgery went really well, and now I just have to let the incision (and my soft tissue in the places where they went in) recover properly. But that is a really easy recovery. And in probably four to six weeks I will be right back to the point where I was before I got the surgery, except for I won’t have that same pain. So while having to go through that was pretty rare, things happen. Now we move on. As I mentioned, before all this happened, I was feeling really good about my progress. I was right at the beginning stages of playing real basketball again. In fact, the Friday before I had the surgery, I played one-on-one with Brandon Rush in Indianapolis, and felt really good about it. 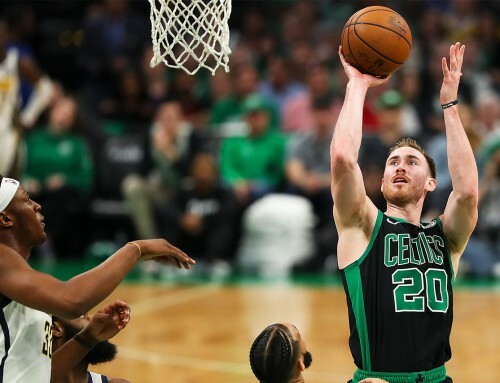 So it was not quite five-on-five, real basketball, but I was starting to ramp it up and was definitely due to get there in short order, and I was getting really excited about that. I can’t say enough about that time I spent in Indianapolis, and how beneficial it was to my recovery. I’m very thankful to St. Vincent’s Sports Performance and their whole staff for helping me run again. That’s really what it was: learning how to run, learning how to jump again. And even though I just had a surgery and I have to do some of that over again, I think it is in my mind and it is already locked in. I did a lot of stuff, running mechanics-wise and jumping-wise, that I will for sure use here moving forward. I’ve already downloaded that software essentially, so it will go a lot faster the next time that I have to do it. And that’s one thing the doctors have told me about this that made me feel better—this recovery is going to be a lot faster than the last one. The waiting game is back on a bit, but it won’t be long now before I’m back out there (Getty Images). For a couple weeks, I was kind of back to the stage that I was at when I first got hurt. I was back in the boot for a week, and had to wait to get the sutures out, so I couldn’t do much. I’d go to the facility and work on all the stuff that I can do. But I’ve been out of the boot for about two weeks now though. So I’m excited to get back to it. I think at the recovery pace I’m currently on, I’ll probably start running again in July. Once I get started, I’ll be jogging, then running, and then cutting and moving, and all that could happen within one to two weeks of each other, to where by the end of July I am playing full court, five-on-five basketball. And that’s probably the most exciting thing I could tell all of you. But these past few weeks have given me a good chance to spend some time with family. It’s been great just to be back at the house, not just be in a hotel. While I was training in Indianapolis, I was spending five days a week in a hotel and then two or three days with the family on the weekends. So just to have a normal routine with the family—have breakfast and dinner every day with everyone—has been awesome. The girls are definitely getting old fast. Both of them have birthdays this summer. Bernie just turned three a few weeks ago, so we had a little birthday party for her at the house. And the cool part about that was that she understands and gets it now—that it is her special day, and that the balloons and everything are for her. It is really cool to see her grow up and see Charlie as well. That is life, and it’s the cool part of having little kids. I love watching them grow. 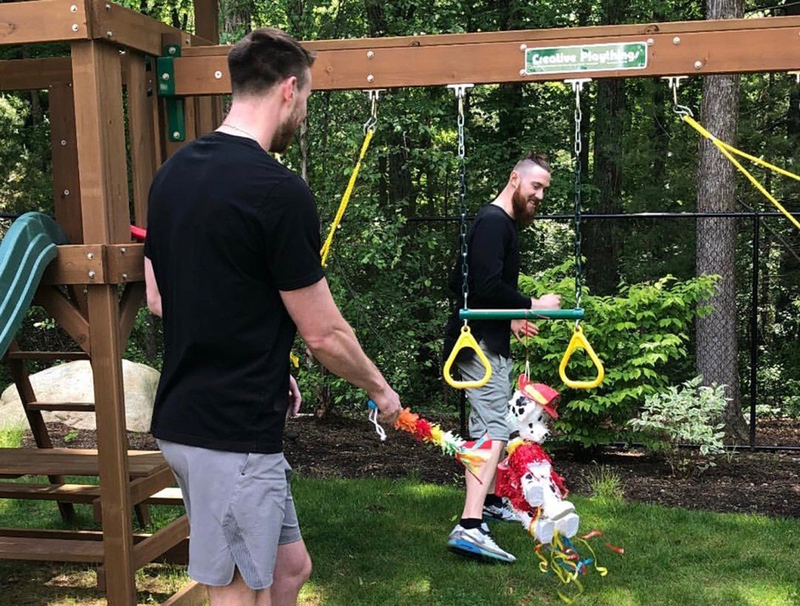 Bernie’s 3rd birthday was a great time, but Aron and I had to take care of the pinata ourselves. We’ve got some fun things planned for our first real summer in Boston. 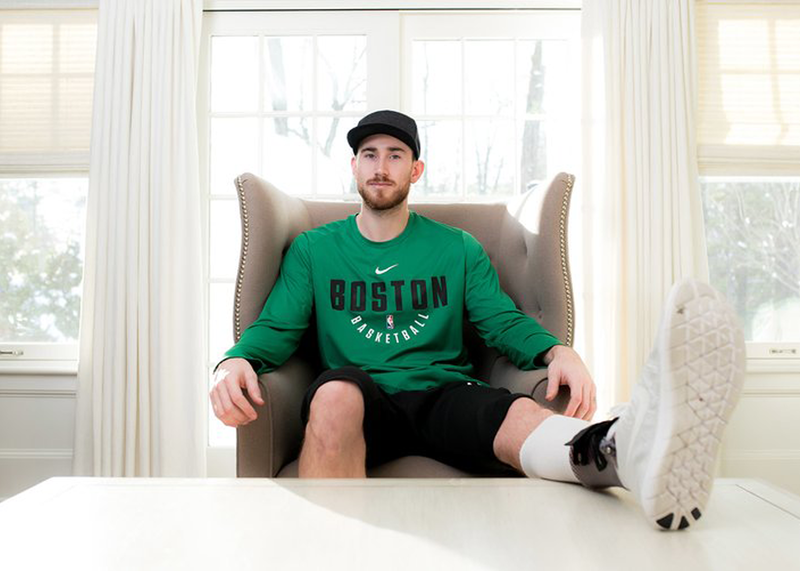 Everyone around the Celtics facility keeps telling me that I’ve got to go see the cape, Cape Cod, and Martha’s Vineyard, and all that stuff. So we might take a trip out there some time. And there’s so much to explore right in the city that we haven’t really gotten to do yet. I’m looking forward to it. Before I log off, I have to give a shout out to our team for their incredible playoff run this year. I’m just so impressed with the guys who stepped up and with everybody fighting through adversity. I wrote about it in previous blogs, but we did a lot of great things and went further than anyone expected. Most importantly, guys progressed a lot further than they were expected to for such a young team. To have two guys go down for the playoffs and still win two series and come within a game of the Finals, that’s something to be proud of. And I still think we should have won the Cleveland series. We just couldn’t throw it in the ocean that last game. Watching LeBron, though, I can say this: He is an amazing basketball player. What he is able to do on the basketball court, night in and night out — as I have said for the last three years we have been doing the blog — is just ridiculous. It was good to be able to see it up close, and it really made me want to get out there and compete against him. But I’m really happy with how our team performed as a whole, and I think it shows a glimpse of what we’re capable of. After missing some of the games to train out in Indy, it felt good to be there, to be able support the guys during the Eastern Conference Finals, and to experience the atmosphere. Our fans are incredible. It was electric in the Garden, and it only makes me more excited to play next year. We go into next season with a lot of options, high expectations, and a lot of reason for optimism. I’ve talked with Kyrie, and I know he is progressing really well, and plans to start training hard pretty soon. We’ve both been itching to re-join these guys after watching what they did in the postseason. 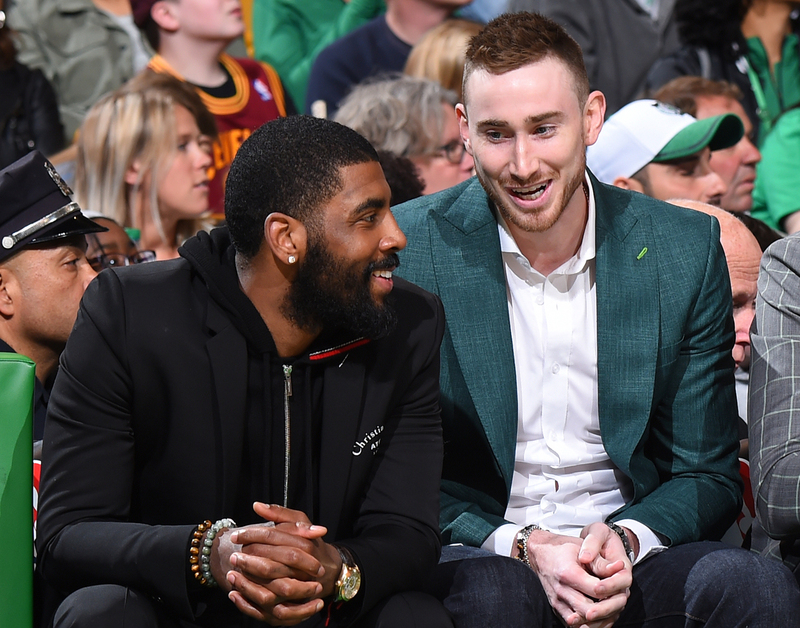 After watching how our teammates played this postseason, Kyrie and I can’t wait to get back out on the court with them (Getty Images). 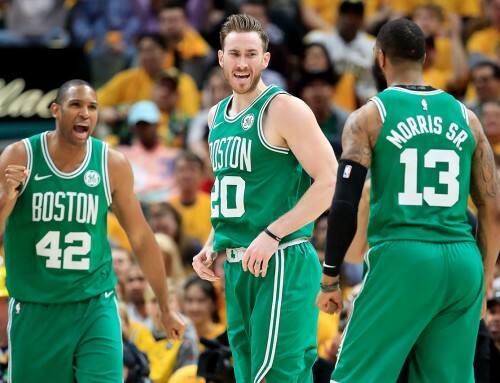 Even before last season, just being around guys like Terry Rozier, Jayson Tatum and Jaylen Brown through training camp, I thought those guys were really good, and it was just going to be a matter of gaining experience for them. Now they have gained really, really valuable experience, and I think it just makes us even better next year. It will almost be like a pick-your-poison type deal, especially if somebody is not having their best game. You’ve got three, four, even five other guys that can pick it up for you, and that is a good problem to have. You can never have too many options, and we’ve got a coach in Brad Stevens who knows how to put everyone in a position to be successful better than anyone. I know he will be able to figure it out. I also know that there isn’t going to be any ego. The guys that we have on the team, we want to win a title. And if everyone has that mindset, then nothing else matters. So excited to see you out there Gordon! I’ve been a big fan of yours for the past 3 years and as a lifetime Celtics fan, you have no idea how excited I was to see you come to Boston. Opening Night was tough to watch but I knew you’d get through it and would come back better than ever. I’m extremely proud of you and this is a perfect example as to why I look up to you. I hope someday I can be half the man, father, and competitor that you are. I hope to meet you some day! Best of luck from a forever fan of yours! Happy Dr Porter & our staff at The Beltway Surgery Center took good care of you! It’s a great place to work! Looking forward to seeing you back on the parquet next season! Glad to hear you’re progressing well Gordon. Reading your story and hearing how you go through adversity is not only inspiring as a basketball player but it’s another reason why you’re my favorite player in the NBA today. Keep up the good work and can’t wait to see you back out there in the white and green. Amazing story. I had the same injury. But kept my hardware in. That been almost 9 years. And. I msy leave in there all togather. But. After reading your story. I think that made my choice. Cause i was ready to have them taken out. At present no pain. Hardly know its in there. So. Thanks for your story and get stronger. And. Will be looking for you on the court. Go Jazz. Haha. Have to throw that in there. Can’t wait to see you back on the court!!! If you get to Martha’s Vineyard, check out Captain’s Club – Great store!! Great news really, very excited about next season and the rise of the Celtics! You will be stronger than ever, go get #18 Gordon! 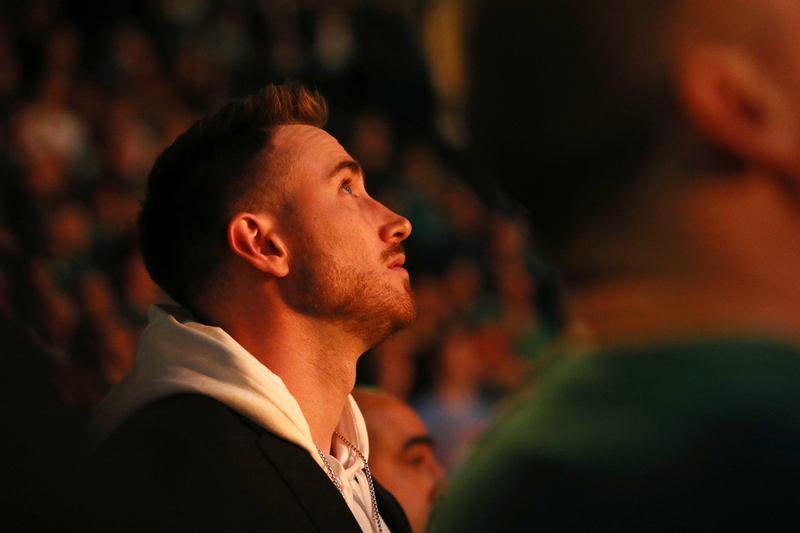 I hope you are ready for the loudest ovation of your life when you step back out on the floor at the Garden, G. Celtics Nation cannot wait to see you out there. Let’s go get Banner 18! Great to hear of your progress! Looking forward to a manner #18 year!! So happy for the progress you’ve made after watching your injury in last seasons opener. I know how hard your recovery has been but we knew somehow you’d make it back and our team will be transformed with your and Kyries presence. We’ll all be cheering for you! Gordon, you are such a class act. Wish you a very speedy recovery. Can’t wait to see you don the green. Lets go G. Lets go Celtics. Can’t wait to see you and the guys contend for a championship next year! When you and kyrie get healthy it’s gonna be the most entertaining Celtics team since ‘08. Get better soon! Nice work, mate. Can’t imagine how tough it’s been with the injury, the timing of it all, and the subsequent rehab. You definitely have a great team to come back to you. I’m sure you already know this but, the Garden is going to go absolutely insane when you step out on the parquet. Wife and I will be flying over from Australia for the playoffs. Can’t wait to see the team at full strength. Good luck this season. I think you will prefer to have the hardware out. I had a similar break many years ago that was repaired with one large screw. It felt OK but “tight” and not quite like it felt before the break. When they took out the screw, the ankle was wobbly for a bit but quickly began to feel normal. The ankle that broke is noticeably wider than my other ankle, but I was able to resume my normal physical activities at the same or better level than before the break. Best wishes for a full recovery. Go GH! A class act and the guy who is going to put the Cs over the top. Can’t wait for next year to begin, and for banner #18. Gods Speed bro!! !Let’s gooooooo ☘️!!! Thank you for sharing your follow up. I sent you a private message months ago asking about your ankle and surgery. My 19 yr old son last year had surgery, receiving a plate, 8 screws, a pin and the tightroping system. He plays junior hockey. He was told the pin could break but if no pain it would stay. After playing preseason hockey and before his regular season began we asked for one final xray. He bent and broke the pin in 2 places but has no pain. He Is still playing hockey and hopes to play college hockey. Continued success to you. A fellow Hoosier. Celtics Nation misses you! Been a fan since the butler days and was ecstatic when I found out you were coming to the Celtics. Good luck on your road to recovery! Can’t Wait to see you back on the court again next season! Thanks for sharing your progress. Good luck in recovery and enjoy your summer in boston. Gordon I was in the middle of explaining to my pops my excitement for what you would bring to Coach Steven’s schemes. Then you went down and it was heartbreaking. Your resilience remain positive helped me get through an ACL year that happened during your own recovery. Your positive attitude and enthusiasm has been an inspiration. Can’t wait to see my birthday brother back on the court. God speed Gordo. 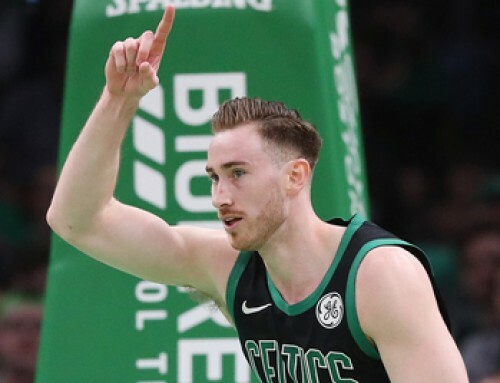 You are going to be a great Celtic G. No fear! #Banner18 also “won’t be long now”! Hey man I really enjoy reading these updates!. Glad to hear everything was successful with the surgery. Looks like you’re going to have more time for gaming! No for real though I’m not sure if you know or not but the majority of New England considers themselves Boston fans in all sports since we don’t have teams of our own. We love you here in Maine and appreciate you brother! If you ever get the chance please come and check out Acadia National Park here in Bar Harbor Maine. It’s a place unlike any other and you’ll be more than welcome. I even work at a hotel that could put you up if you needed. Thanks again Gordon for writing these blog posts! GO CELTICS! Congrats Gordon. You are one of my favorite basketball players ever. I can’t believe that injury happened to you. I’m really glad you have recovered successfully. Can’t wait to see you next year. Go Celtics! Gordon your injury was very emotional for me because i was diagnosed with cancer the day before (only 38 years old). I will always remember those days. I’m so excited to see you play this year We are going to be great with you out there. Your courage and determination has been awesome. If the Celtics end up facing the Warriors in the Finals next season, the #1 warrior on the court will be wearing #20 in green! Dont rush, there is plenty time, be calm and everything will be ok. Cheers from an argentinian Celtic fan. Thank you Gordon for keeping us informed on your progress and your outlook on life in general. We are inspired and like all Celtic fans we can’t wait till to see the Full Mosaic in September. Really grateful to be able to follow your “journey” from Brownsburg, to Butler, to Utah & now to Beantown playing with the Celtics! It just keeps getting better & so do you:) As a parent, I know you can relate to the roller coaster your parents have been on, especially during your injury & rehab. You are coming back wiser & stronger than ever. My grandson suffered a broken bone in his leg during sectionals of his senior year:( It was awful, for him & alll of our family too. So disappointing! Now he is doing great & w/b a sophomore & playing his 2nd year at Marian. Lots of hard work & determination, just like you!! We are all anxious to see you play on the parquet. In fact, soon I am heading to visit one of my sons & his family who lives in Boston. So much to do there! Keep working hard, keep your head up & remember all the basics that your parents taught you, on & off the court. You will be PHENOMENAL! Have fun w/your wife & girls this summer:) Wishing you the best always! Hello Gordon! I am glad you are feeling much better. I read in your latest blog “It won’t be long now” that you are thinking of coming to the Cape and islands for a visit. I think that is wonderful. I live on one of the islands off of Cape Cod called Nantucket. Nantucket is a small island that has an extraordinary history of whaling and beautiful beaches. It is a wonderful place for kids and their are so many interesting activities and things to do. One of the reasons that many other famous people such as Bill Belichick or Julian Edelman vist here so often, is because all of the year round residents here (including myself) respect their privacy and do not make any scenes. Please at least give it a look. I think you will like it. Thanks for the update and good luck with your recovery and therapy….we are all really excited to see you play on this amazing team…and I know you are too. Good Luck! 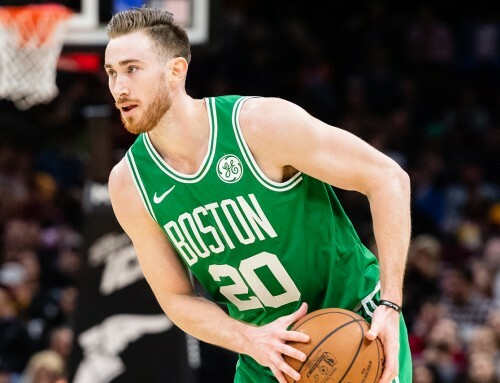 Well, Gordon think the positive position, you had a lot of time to deal with your kids.I am very excited that you will return to NBA season.I wish you to have an excellent season without injuries. Man bro your truly an inspiration to me. I’ve been folowing your recovery process from the start & its been giving me more faith every time I check in on you. To be honest I actually had the same injury as you with the twisted ankle and everything about a week before my first game in football last season. The process of getting back is a heavy challenge but the more brilliant you are the more you’ll be tested. Keep going hard bro your time is coming ! Take it slow. Listen to your body. Heal yourself from within and then come back and dominate like we all know you will!! Glad to hear you’re doing well Gordon! It really pained me to see you get hurt on opening night. I really wished I hadn’t watched the video of you getting hurt because of how much pain you were in. At that time, I was very worried that your career might be in jeopardy. After listening to your updates on rehab, however, I never lost hope that you would return next season stronger than ever. You have served as a great inspiration for others with your class act and staying positive even in the hardest times of life. I am looking forward to seeing you back on the court next season. May your recovery be a speedy one. I’m having the same ORIF surgery this week and am watching your promising rebound with great interest and hopefulness. I’m very physically active, running in many different directions, and this new reality has upended every aspect of my life and my husband’s. Taking it one grimacing, unbalanced day at a time. Trying to stay upbeat, but there are days when the mundane victories like a seated shower can bring you to tears. Thank you for sharing your story.